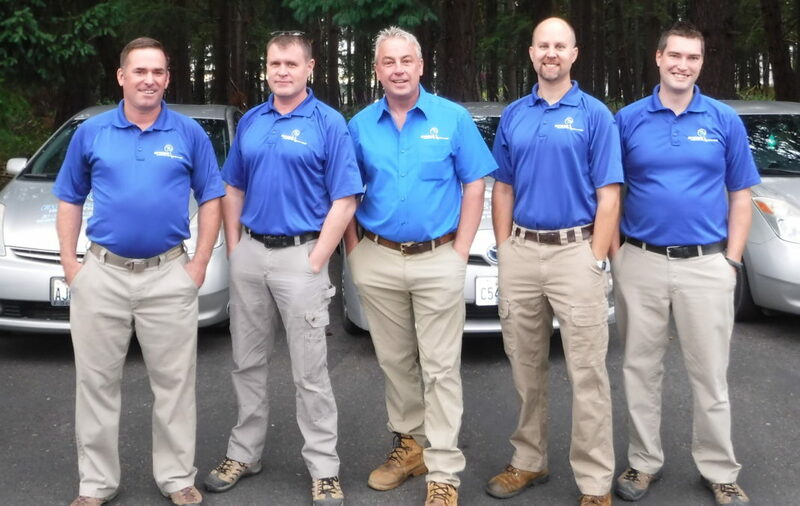 In order to be certified as a home inspector in Washington State, you must complete a 40-hour class, pass a certification test and complete 120 hours in the field, shadowing a certified inspector. Once completed, newly-certified inspectors are, in the state’s eyes, ready to inspect your home or business during the purchase and sale process. But, in the eyes of Dwayne Boggs, owner of Boggs Inspection Services, training is just getting started. Boggs’ inspectors are all state certified but that’s just the starting point. 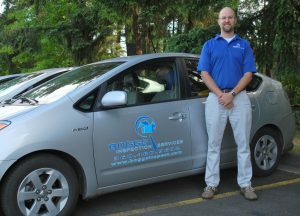 Dwayne has his own training program in place, ensuring that every inspection completed by one of his inspectors is done with the same process, precision and professionalism as he would complete it himself with his 13+ years of experience. 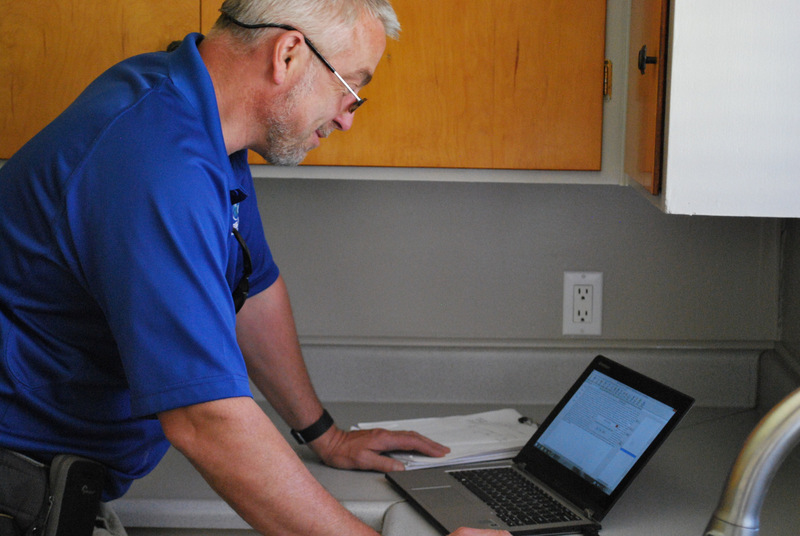 New Boggs inspectors are paired with a veteran, ASHI (American Society of Home Inspectors) certified inspector and shadow them through not just 120 hours of inspections, but 150 to 200 individual home inspections before they are ready to go out on their own. 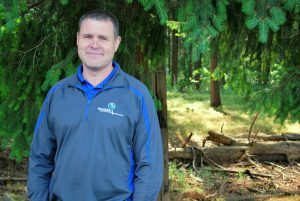 Dwayne Boggs has been inspecting homes in Thurston County for more than 13 years. “Some inspectors will only inspect 150 to 160 houses a year. That’s a minimum number for our trainees to see before we’ll even turn them loose on their own,” says Boggs. 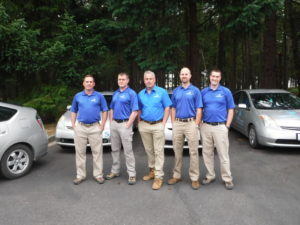 This creates depth of knowledge about the a home’s mechanics and offers new inspectors a deep understanding of the level of service Boggs inspectors are known for and that customers have come to expect. After shadowing another inspector for 150 to 200 homes, new inspectors have seen nearly everything from new construction to historic homes to multi-unit dwellings. That experience creates a baseline for their work. Boggs even runs inspectors through “mock inspections”, sometimes in the homes of other employees or friends, posing as the client as the new inspector goes through the entire process from start to finish. Retired Marine Keith Bowman has been inspecting homes with Boggs Inspection Services for four years and now serves as a mentor for new inspectors learning the Boggs way. It’s this “seeing vs. knowing” that Boggs instills in their new inspectors, creating a depth of knowledge second to none. 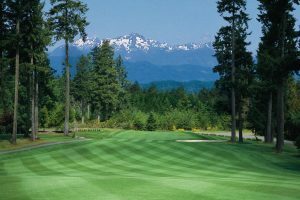 And, to add to their knowledge, Boggs arranges monthly educational seminars for his team with industry experts sharing their knowledge and answering questions. “Dwayne’s brought in plumbers, electricians, roofers to meet with us and share the newest guidelines and answer our questions,” shares Bowman. With industry standards and regulations always changing, staying on top of current best practices and codes is key for the inspectors and potential home buyers. “We want to ensure our customers have the most up to date information about their home, so that means we have to have it, too,” Bowman adds. George Green recalls his training phase two years ago and the value he found in multiple mentors to shadow during inspections. George Green has been with Boggs Inspection Services for two years. He echoes Bowman’s praise of the in-depth training regimen and, as one of the newer members of the team, recalls the training process well. 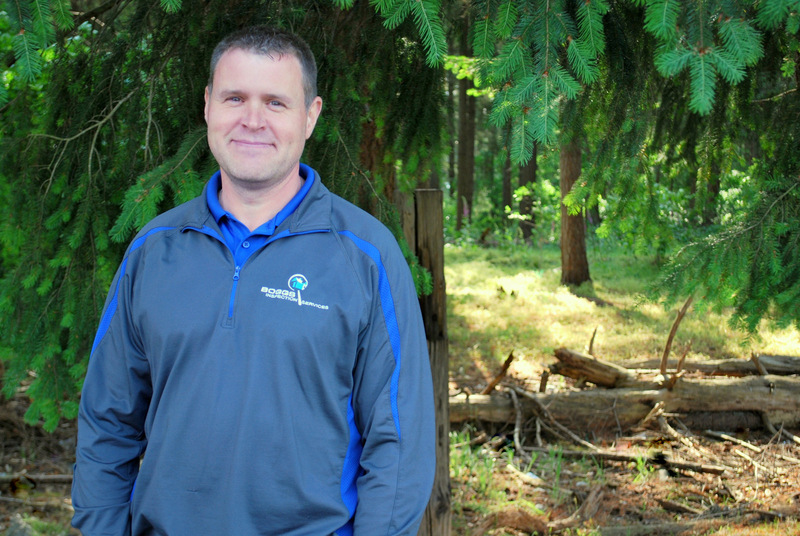 “I worked with both Bill (Ryan) and Keith during my training and being able to shadow them both, watching them utilize the same protocols and procedures, reiterated the process so clearly,” he shares. Almost equal in importance to the technical aspects inspectors learn are communication skills. “Our training helps us learn to set expectations with the client and agent going into an inspection, during the inspection as things come up, and helping talk through the findings, prioritizing and understanding what is a major concern and what is a typical defect that shouldn’t raise red flags,” explains Green. Training makes all the difference. And, for Boggs Inspection Services inspectors, it’s a difference that you can see and feel during the inspection and one you’ll appreciate when you receive your clear, accurate and informative report the very next day. Want to see the Boggs’ training in action? Contact Boggs Inspection Services at 360-480-9602 or visit them online to learn more.